My name is Alexis, I’m 25 years old, and I have adult acne. My acne story starts around when I was 12 and just starting to get pimples, as you do when you hit puberty. The first acne ‘treatment’ (used very loosely here) I ever used was putting calamansi (a type of Asian lemon) on my skin around once a week to help sort out my acne and this is what I did for a few years. I can STILL remember the sting - this was the most torturous treatment ever and I can’t help but wonder how much permanent skin damage I actually caused by doing this. Fast forward a couple years and I get into a semi-routine of seeing an esthetician to get facials every couple of months (thanks, Mom!). This helps, but it doesn’t actually treat my acne. After a few years of regularly getting facials to help with my congestion, my mom took me to the derm and I walked away with a handy little script for Clindamycin and Differin. These two were great for managing my acne (although I probably STILL didn’t use enough recommended SPF with Differin oops) and I used them up until I moved to New Zealand for university and was no longer covered by my parents’ health insurance. 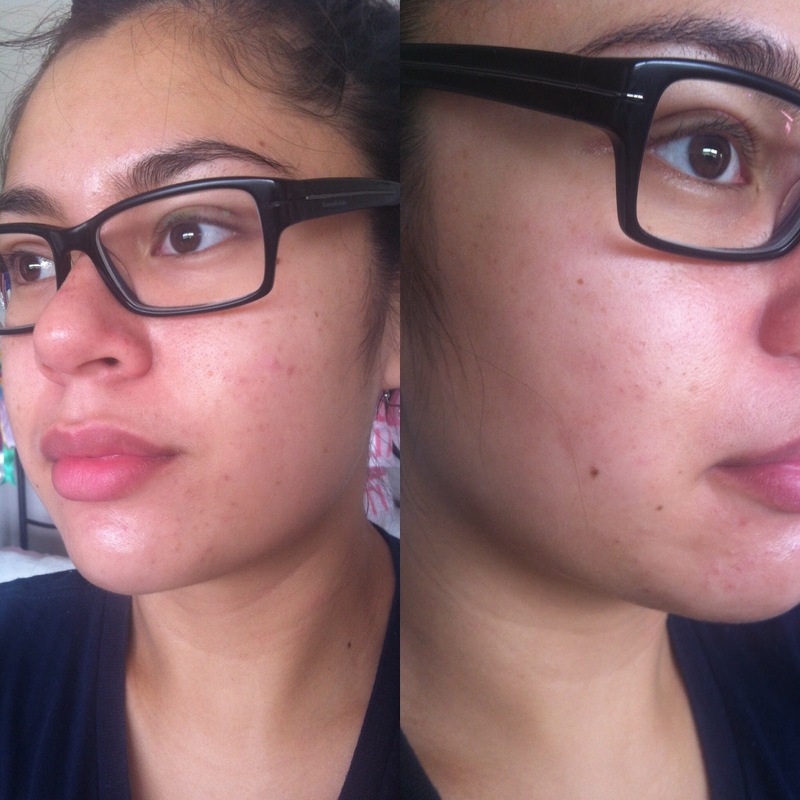 I ended up switching to the Acne.org method, which was 2.5% Benzoyl Peroxide twice a day applied to the whole face. This worked really well for me (as you can tell by the photo) until I fell down the rabbit hole of benzoyl peroxide as a pro-oxidant. I couldn’t find any concrete information about negative effects of the long-term use of BP on one’s entire face, but I wasn’t willing to be a guinea pig either. So I stopped using BP and began to look for something else, and of course, my skin returned to it’s untreated, pimply state. Before people come in perpetuating the myth of “ur skin gets addicted to BP that's why u broke out gal” let me just ask you something - if you took a medication to manage the symptoms of a disease, then stopped taking it and the symptoms came back, were you 'addicted' to the medication? 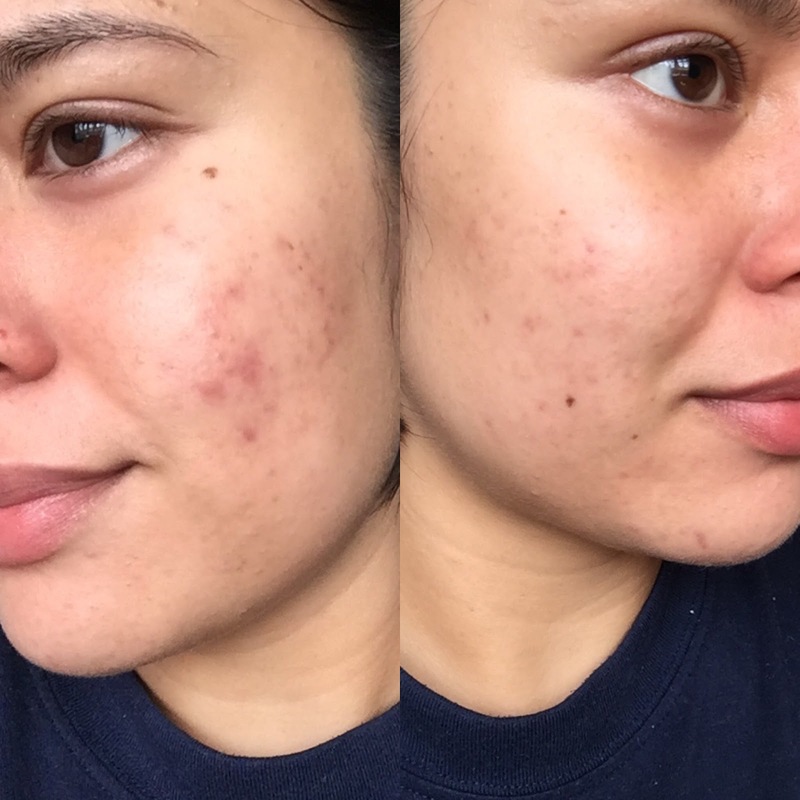 I stopped using a product to manage my acne, and therefore it came back. The thing with all topical acne treatments is that you need to keep using them to keep seeing results because of how the skin is constantly renewing itself. What an amazing world we would live in if we could only use BP ONCE and be rid of our acne forever! Sadly, the skin doesn’t really work that way. 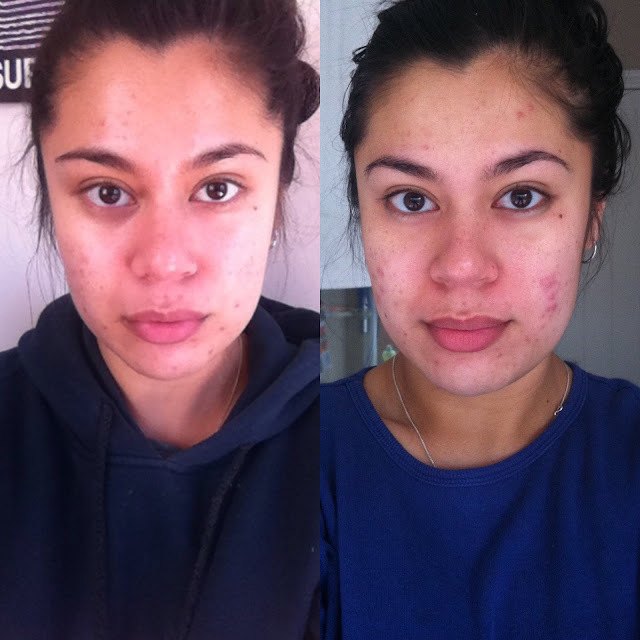 So I struggled along for a little while, trying various acid toners (which didn’t work as well as I hoped for me) until I realised that under NZ’s national health care scheme, I could get Differin prescribed for acne! I don’t know why I didn’t realise this when I first started uni but whatevs. I marched into my doctor’s office at the end of July 2014 and she was able to prescribe Differin and a month’s course of Doxycycline to help battle the purge. Emboldened by the fact that I was going back to something which really worked for me, I did heaps and heaps of research how I SHOULD be treating my skin while using Differin. My first time around using it, I still used harsh salicylic acid-based cleansers and scrubs which were completely unnecessary and hurt like hell. 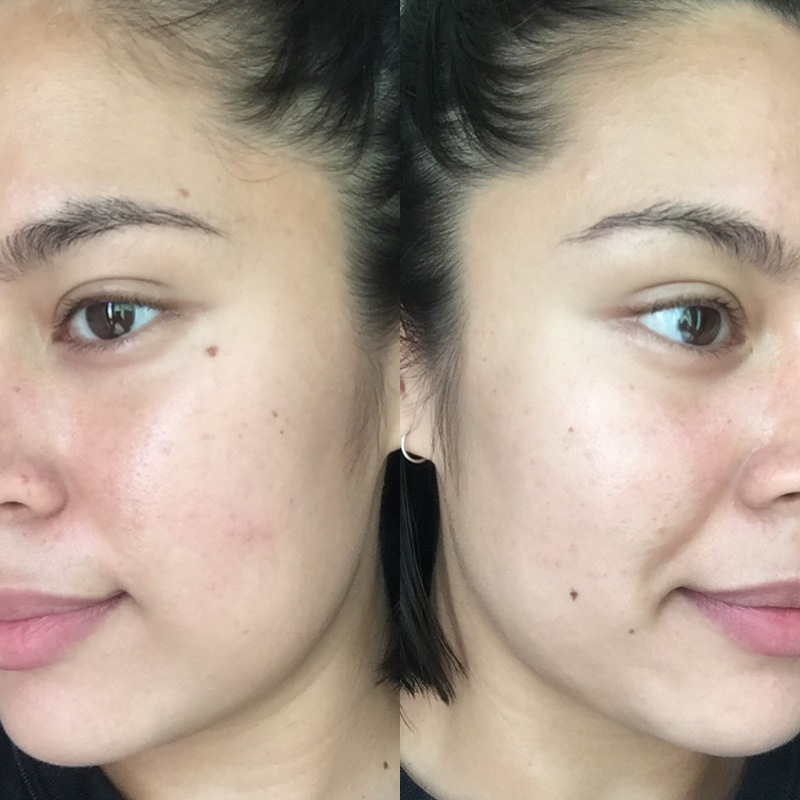 Turning to the internet, I heeded various warnings about the peeling, sensitivity, and dryness I would experience and began to fall into the rabbit hole that is Asian Skincare. I learned about things like sheet masks, watery lotions, and uber lightweight sunscreens. 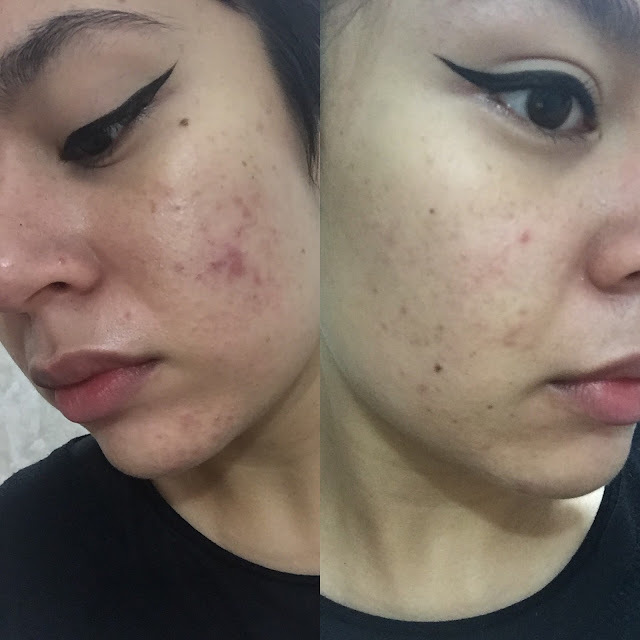 I also downloaded an app called Day One to help me monitor my skin’s progress over the next few weeks. It's actually where I've been able to download all these progress shots from! Doing this really helped keep an eye on my skin and it’s something I still do to this day. It gives you a great idea of what is working and what isn’t working for your skin over time. What I like about Day One is it keeps the photos out of your camera roll and only in the app (which can be protected with a passcode), so it’s for your eyes only. Other than Differin and sunscreen, the three products that made the most difference were the C20 Serum, EltaMD, and Hada Labo. C20 & EltaMD (Vitamin C + Niacinamide) were a KILLER combo for my PIH, and the Hada Labo really helped keep my skin properly hydrated and minimised peeling. 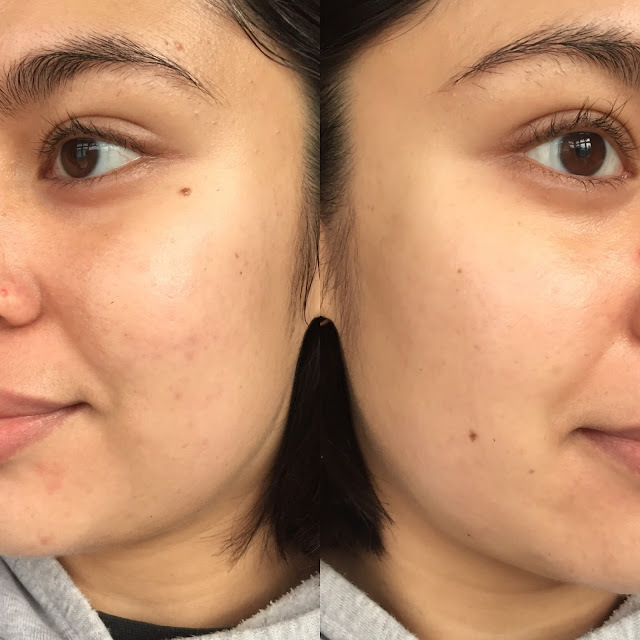 However, because my skin was finally GOOD, I got lazy and stopped documenting my skin (this is always a bad idea… Trust me!). I also decided to try too many new things at once. Not my best thinking, I’ll admit. Fast forward from January 2015 to June 2016 and I’m having skin that is just as bad or even worse than 2014. I think it was a combination of a couple of products, specifically CosRx BHA Lotion and a L’Oreal sunscreen that set my skin off. I panicked and went back to my GP, who sent me home with a script for Retin-A. I cut out C20 (as my skin would go through another period of becoming extremely sensitive) and went through the purge again. At this point in time, I actually had incredibly low self-esteem about my appearance (possibly the lowest I’ve ever had due to a crazy haircut I got plus the state of my skin) so I didn’t document my skin/take any photos of myself from July 2016 until January 2017. There currently is a little bit more swapping out in my current routine, as I've gotta make do with what I can on the road (Watson's is a bloody godsend though!) but it's all working pretty well for me so far. I also sheet mask pretty frequently, but the jury is out on how much these are really making an impact on my skin other than temporary hydration and brightness - I'm hoping they make up for the fact that I don't have a permanent, strong serum like C20 in my routine right now. So there you have it! I hope you've enjoyed following along with this post and gotten to know me a little bit better, and where my opinions come from when I review skincare. Feel free to ask me ANY questions about my skin, my routine, and the products that I used! I'll be writing about a few of them in-depth in some upcoming blog posts.